The International Fluid Power Society (IFPS) believes that implementation of safety procedures is paramount in all fluid power systems, the electrical and electronic controls that guide them, and all associated technologies. The IFPS recommends, in every circumstance, factory, piece of mobile equipment, or application of any fluid power product or its controls, that every employee and employer is responsible to know, understand, and practice the safety policies and procedures already in place. Prevention is always the best treatment. Know the proper operation and maintenance of all equipment. Comply with all rules and requirements established by the particular manufacturer and site where the work is being performed. Use personnel protective devices: face shields or safety goggles, earplugs or covers, and safety shoes and clothing suitable for the environment. Wear gloves when handling hot materials or to protect hands against hot surfaces. Consult manufacturers’ safety specifications for each machine. Take the responsibility to improve the safety standards whenever an opportunity presents itself. No one knows the equipment better than the people who work with it daily—they are the most important ones to improve that equipment’s safety! Doctors may not be experienced in treating injection injuries and therefore may underestimate the urgency of this type of injury. It can take hours to locate a qualified medical professional. Your best chance at proper treatment is to locate a hospital or hand surgeon who is experienced with this type of injury in advance and have contact information readily available. Your company should be prepared to have the Material Safety Data Sheet (MSDS) available whenever an injury occurs. 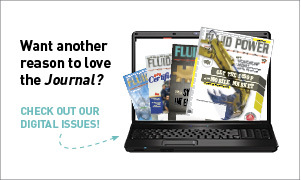 What is the amount of fluid injected? What was the pressure of fluid injected? What is the spread of injected material? How much time has lapsed between injection and treatment? Since pre-planning is recommended, there is blank space on the safety card that should have the name and phone number of the doctor or medical facility in your area that is experienced in treating injection injuries. In the event of an injury, you must IMMEDIATELY SEEK MEDICAL CARE, and having this critical information readily available should help medical professionals treat the injury. Critical safety information can now be found in every IFPS study manual. For additional safety education, an archived online presentation, “In the Line of Fire: Cause and Dangers of Fluid Injection Injuries,” presented by Dan Helgerson, CFPAI, is available to the public, as well as a four (4)-page general safety document, “Safety is Everyone’s Responsibility.” All of these safety resources can be found at www.ifps.org. The information expressed above is not medical advice or a substitute for a professional medical opinion. The International Fluid Power Society (IFPS) provides this information for your convenience, and IFPS does not assume any liability that may arise from its use or nonuse. IFPS does not verify that this information is valid, current, or suitable for any situation. Consult a medical professional immediately in the event of an emergency.